Ensure your next fishing trip is a success by stopping by Joshua Feed & Pet for all of your fishing bait needs. We offer a diverse selection of bait that is sure to help you catch the biggest fish in the sea – or lake. Whether you’re fishing for fun or to bring home the big one, you’ll appreciate our selection of high-quality bait. Put our 15 years of experience to work for you today! 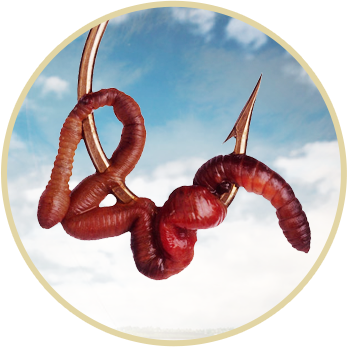 We’ll help you select the perfect bait for your next trip. We also carry premium feed for animals and pets.